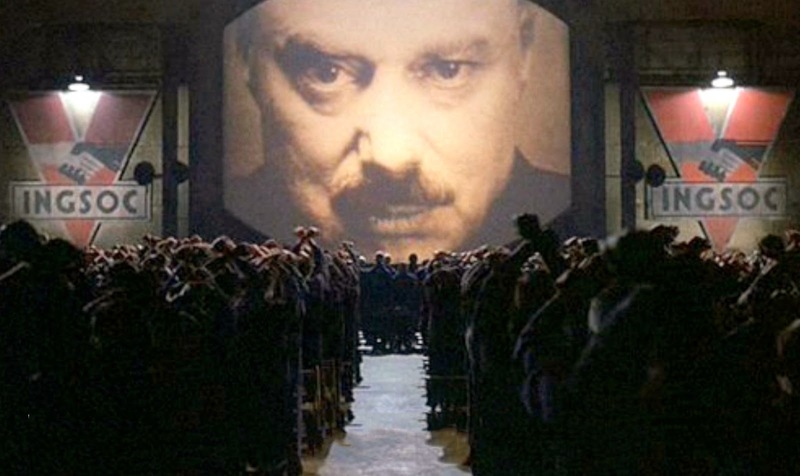 One Small Voice: Big Brother is watching . .
Big Brother is watching . . I saw an article somewhere on the internet a while ago and it set my brain whirring. Apparently, sometime back in 2012, Facebook collected usage trends of approximately 689000 users over a period of 6 months and conducted a massive sociological experiment without the users consent or knowledge. You can read more about the actual incident here. You can read the detailed report that the FB team published on the Proeedings of the National Academy of the Sciences (www.pnas.org) here. Why is it such a big deal? Companies analyse information about their consumers all the time in order to gain leverage for sales. What's all the ruckus about? In my mind, I immediately painted a scenario. In the first part (and call me an addicted Googlophobe), I admitted the fact that a lot of my personal data is stored with Google. Google knows about my physical characteristics through my photographs. Google knows what my mobile number is since they confirm it periodically through Hangouts. Google knows my likes and dislikes (those which I want the world to see through my Google profile and those which I do not necessarily publicise through my usage statistics for Chrome). That's a little bit scary. But then it goes on. Google knows my location almost all the time even if I have my GPS switched off. Google knows my location VERY accurately if I leave my location services on. Google knows personal details of my life minutely since it has all my emails since 2000. Google knows the ups and downs of my life. Google knows about the things I buy, about the music that I listen to, about the movies that I watch, about what kind of information I like and dislike, even what turns me on . .
Gets a little bit scarier right? I recently bought an external HDD from Amazon. The next time I logged in to Google, I could observe more instances of these adverts on my mail page. I could not believe that. It had to be a coincidence. But I was wrong. It's not a coicidence. When I bought earphones online, I saw adverts of audio equipment manufacturers. Gets even scarier. Google Now is already analysing me and suggesting things to me which I currently club under technological innovation and smile at. But now I am seriously worried. For example, I had gone to a village called Dandeghar near Panchgani for a small vacation. The road that I took from my hotel to the main road is a "T" junction. To the left is Panchgani and Mahabaleshwar. To the right is the national highway which takes one back to Pune. The first time that I turned left, Google Now (When i say Google Now where "N" is capitalized, I mean the app of that name) popped up a question, "Are you going home?". I answered back in the negative and moved on. The next time I took a right and it asked me the same question again. This time, since technically the direction was correct (even though I was not going home), I answered in the affirmative. The third time that I left the hotel and took a right turn from the "T" junction, Google Now automatically popped up a card informing me that home was a little over 90 kilometres away and would take a little under 2 hours in moderate traffic near Sinhagad road. I was flabbergasted. I now couple this knowledge with the outcome of this rather cheeky and daring experiment conducted by Facebook. Here's what they did and found - "For one week in January 2012, data scientists skewed what almost 700,000 Facebook users saw when they logged into its service. Some people were shown content with a preponderance of happy and positive words; some were shown content analyzed as sadder than average. And when the week was over, these manipulated users were more likely to post either especially positive or negative words themselves." Consider the implications. A technology company can actually tweak what you think by manipulating what you see insidiously. Now you'll say that it is exactly what the public media has been doing since ages. It has always been bombarding you with what's right and what's wrong. It's always been building perception and has been an important part of mainstream culture. But this is different. The Facebook experiment is a landmark event in the new era - the era of insidious control. Now let me draw your attention back to Google for a wee bit. Consider three very interesting projects that Google has been working on. Project Loon - Essentially, Google is trying to connect the entire world to the internet. A vast array of balloons floating in the stratosphere giving away an internet connection in remote areas of the world. Areas where even food can't make its way easily, internet will be accessible. Why does Google want to do this? Google Glass - Everybody knows what this is about. Essentially, Google will be your eyes and your ears. It will hear everything you hear, see everything you see. It will be a part of you. As much as your brain. Quite obvious why Google wants that so much. Google Ingress - This is an augmented reality game. It immerses you in an alternate reality where you are a part of either faction (one faction trying to annihilate certain areas/buildings/objects desginated as "portals" and the other faction trying to protect them). Why did Google spend so much money buying an online game? The answer, I feel is in combining these three technologies (cloud tech, wearable computing and augmented reality). Imagine a world where Google will be connected to you no matter where you go and will be able to get inside your head and will be able to manipulate even the sensory inputs you receive to change your perception of reality. Is that scary enough? Just a teeny-tiny example of how it may manipulate its power. This is just a VERY small example mind you. Imagine that Google gets into an agreement with a local restaurant. The local restaurant pays Google money to designate the restaurant as a portal on the game. Gamers (who wear Glass and play Ingress) will automatically gravitate to the restaurant if they are passing near the vicinity to either destroy the portal or to protect it. Increased footfall, increased revenue. Get's even scarier right? Wait for the kicker. Imagine a world where a rich, nebulous and multinational corporation has the power to tweak reality, make or break politicians, determine or at the very least manipulate public opinion and therefore determine the course of history. Imagine this corporation. This is where Google is right now. It's a world power. Already. The only difference is that it hasn't begun flexing its muscle. It hasn't invested in military tools. Or maybe it has . . ? Call me paranoid. But I am definitely alarmed at the signs all around me. I can see that technology is getting more and more "wearable" and I worry about it. I don't fear technology at all. Far from it. But I certainly fear the entity that will eventually end up controlling me through the technology that I use. Should I be taking steps? I shall wait and watch . . But one thing I do know for a fact - Big Brother is watching.